I really wanted to see Hangzhou but I did not have much time nor did I want to move all my luggage so I got up at 5am and took the fast train. Getting back was more problematic, the last train is 9:48 but buying tickets in advance without strong Chinese is difficult. Buying tickets for the last train back to Shanghai right before the train leaves involves lining up for the one window that is still open selling tickets to “Foreign Guests” which you first have to find. Then that one ticket window also has the longest line, lengthened by people butting it or just plain arguing about their fare, not foreigners, Chinese people jump the queue and argue rather than just pay the fare calculated by the computer. Once back in Shanghai all the metro ticket machines were turned off so you must queue again to buy a subway ticket, but the subway line to the station nearest your hotel is closed so you go to “People’s Square” as most metro stations are closed. Once there all the cabbies try to gouge you charging 50 RMB for what turned out to be a 22 RMB taxi ride. If my Chinese was better or my iPhone had been working it would have been even easier to give directions. I also finally put some hotel stationary in my iPhone case showing the hotel name and address, previously I was just using my handwritten characters. West Lake is big, too big to walk around easily in a single day, but there are buses and bikes. There are also boats but I never took one. I did climb the pagoda, it is a modern replica so it has elevators and escalators. There are some very old pagodas in China you can climb but I never visited any this trip. I don’t like heights or more accurately ledges so I don’t know why I keep climbing these buildings, with the pollution the photos from the top are never very good. 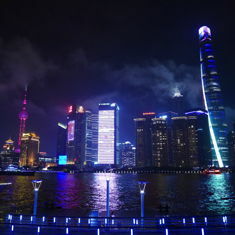 Hopefully China can move away from coal and other sources of pollution, because their city skylines and historical places suffer as a result. Eventually I moved back to China and spent four years in a job that was supposed to be temporary while studying the CFA® exams and looking for a much better non-teaching job. Ultimately things did not work out not for my career or personal life. But I did end up passing all the CFA exams and after all the sacrifices expect better times ahead, though I’m not sure they’ll be in China, I just couldn’t make it work. I need to study Chinese more and leave EF sooner. If you have any questions about living, working, traveling or studying in China you can leave them below. If you have any advice you can leave it below too. I collected the best of my China posts together and undertook a major overhaul and upgrade to WordPress. I can’t say I love the new block editor, so if you have any thoughts on WordPress or blogging you can leave them below too. 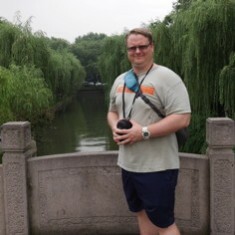 This entry was originaly posted on June 23rd, 2014 , it was last edited on January 28th, 2019 and is filed under: Asia and tagged: China, Hangzhou, Photos, Travel, West Lake.